On the afternoon of January 18th 2017, Shepherds Fire-Rescue along with Troutman Fire-Rescue responded to a traffic accident at the intersection of Judas Road and Perth Road in Mooresville. Arriving units found a serious auto vs. motorcycle accident. 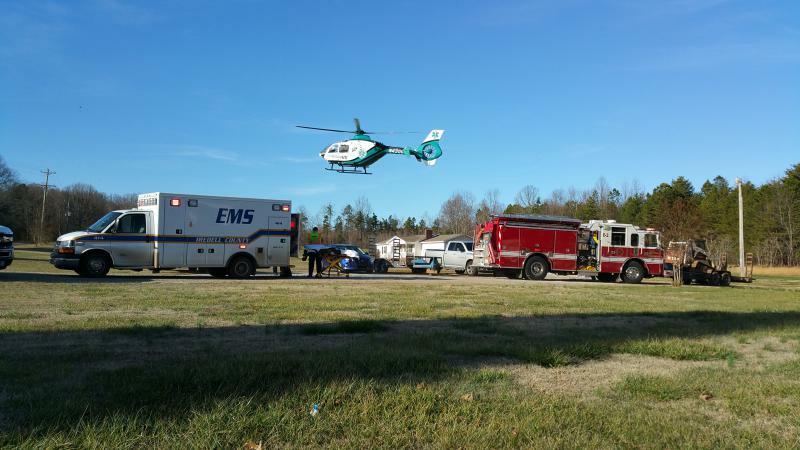 Iredell County EMS arrived on scene and requested a medical helicopter from CMC MedCenter Air to respond. While all agencies were providing care for the motorcyclist the aeromedical crew arrived at the landing zone nearby. The patient was successfully airlifted from the scene to Carolinas Medical Center - Main for definitive trauma care. All units returned to service without incident.